We can expect big beers from Bluewood in 2019, just look at what they poured at the Halloween Party! The St. Louis brewing community refuses to stop growing and I friggin love it. The newest brewery to announce it will soon be pouring in the city, is Bluewood Brewing, a brewery that has been a staple in at local beer festivals for years. Cameron Lund and Grant Lodholz, made the big announcement recently on social media, announcing plans are underway for them to take over the old “Corner Gates” a.k.a, the former “STL Stable” brewery on Cherokee Street in south St. Louis. The official address is 1821 Cherokee Street. Bluewood Brewing’s mission is to provide the community with organic, engineered artisan ales that are an event worth celebrating in itself. 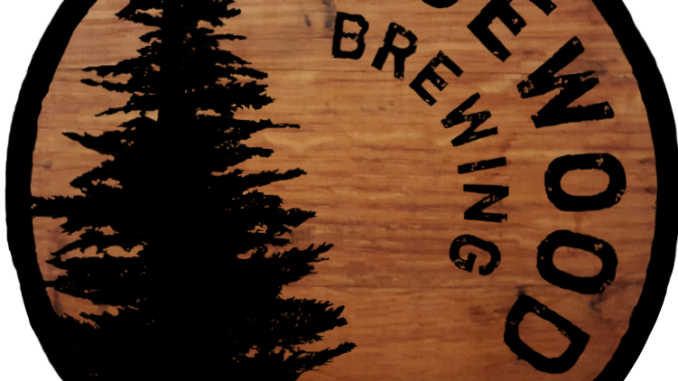 The name “Bluewood Brewing” is derived from nicknames for the college homes of its brewers – one called “Ol’ Blue” and the other known as “Plywood.” The brewers formed a lot of memories here and found their love of craft beer. Before establishing Bluewood, Cameron Lund founded Bray Avenue Brew Co. on October 12th, 2012 in Rolla, MO. In this homegrown operation, he had only 1/6 bbl capacity and continued to operate at that production capacity into 2018. To commemorate this experience, Bluewood celebrates its anniversary on Oct. 12th each year. Their unique offerings and approach to the art of brewing helped establish their presence and products in the local brewing community. Most recently, St. Louis beer lovers got to sample their wares at the annual St. Louis Brewers Guild Halloween Festival. Bluewood dazzled the masses with the following beers, which we hope will become the core of their future beer menu, come early next year. But notice the ABV’s here. These are big beers, that pack some serious punch. Is it a Brown Ale or a Porter? What’s the difference?